It took me a few years to come to terms with the fact that my house is too small for a traditional Christmas tree, Real or artificial. For years we put up a “live” tree and then eventually switched to an artificial tree and we kept making the same mistake. We kept getting traditional shaped trees. We’d cram them in to our space and would even move the furniture this way and that to make room for it. Finally last year I waved the white flag and said that’s it. No more rearranging the furniture for a Christmas tree! We’re getting a smaller tree. And I bought the perfect Christmas tree for our small space. 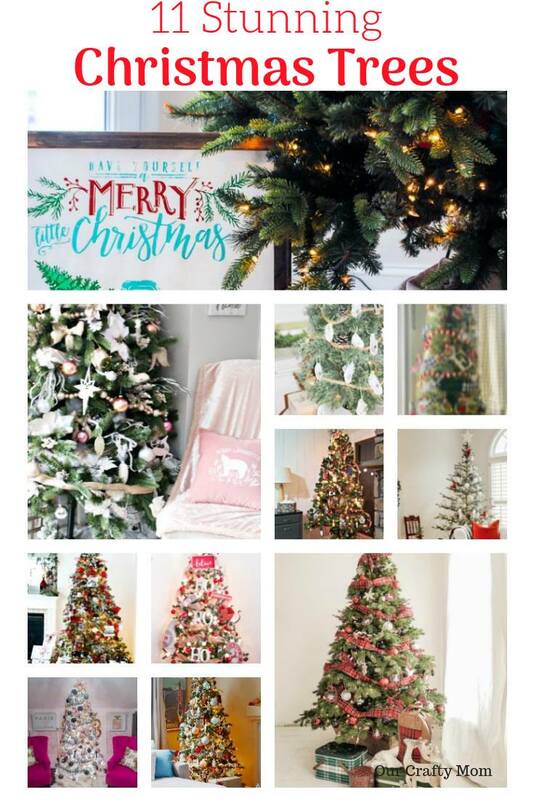 We have 24 talented bloggers joining up to share their decorated Christmas Trees with us! So grab a cup of your favorite beverage and get comfortable, because you are going to love the beautiful Christmas Tree Decor being shared. I found this pre-lit, flocked pencil Christmas tree at Michaels, but they are available everywhere. I love everything about this tree. I love that’s flocked, I love that the lights are already on it, I love that it’s easy to store away, and I especially love that it’s so easy to decorate! And I love how it looks in the Christmas Tree Box that I built last year. 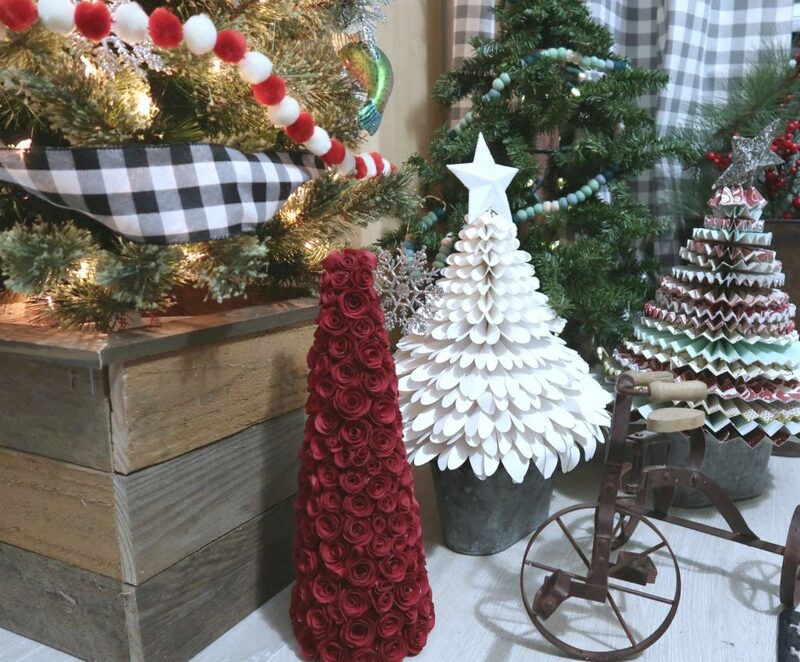 I placed my beloved paper Christmas trees (the rolled paper rose tree, the paper medallion tree, and the white paper tree) on the floor near the base of the pencil tree. Two of these paper tree are five years old and one is four! I bring them out every year and they still look great!!! I decorated the tree with the Chalk Couture ornaments that I made recently and few favorites from last year, and of course the ever-popular Believe ornaments. 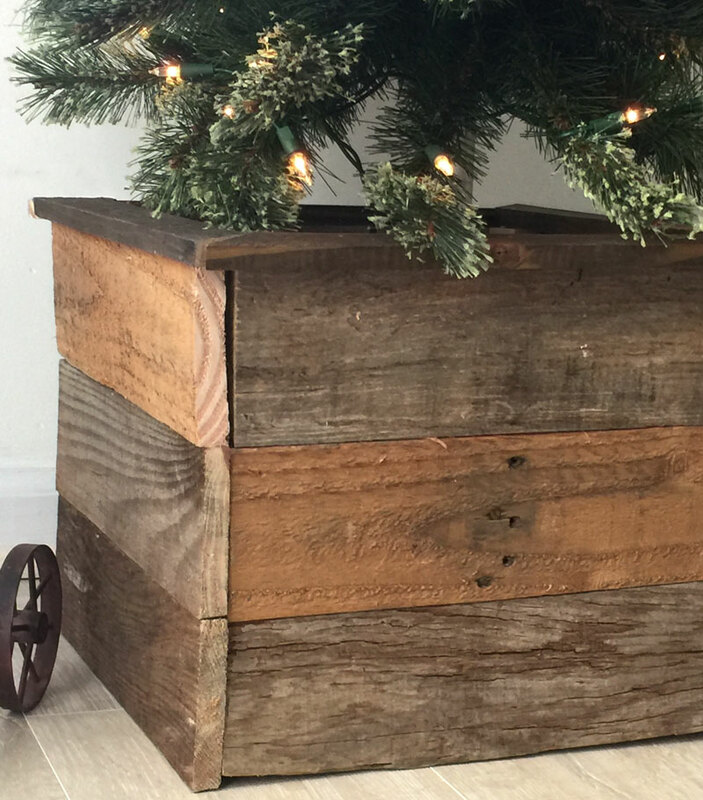 A Christmas Tree Filled With Memories – Across the Blvd. It truly is the perfect tree for smaller spaces. Love all the colors. Your pencil tree is beautiful! I love how you have enough space to decorate around it too. You had me at ‘easy to decorate’! It’s just so pretty! 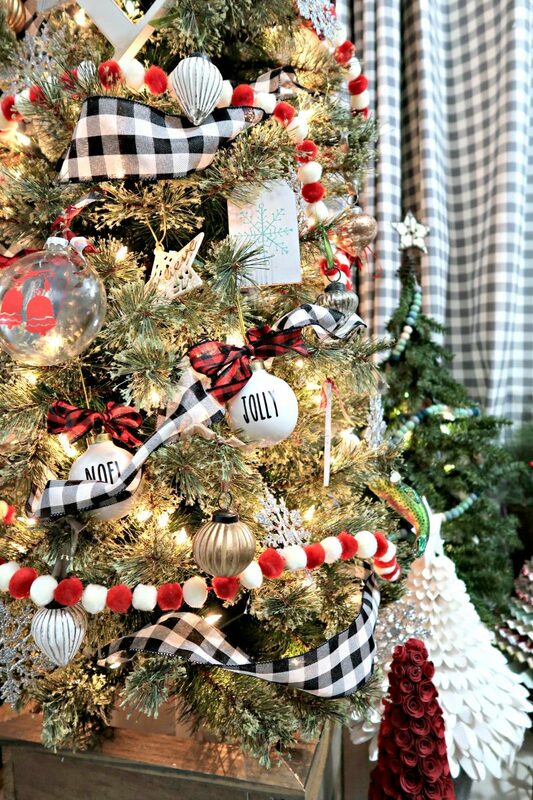 Love the combination of reds and buffalo check ribbon. I love the pencil tree and now I am inspired to get one! I can relate to trying to cram a huge live tree into a small space. They look so much bigger once you get them indoors, don’t they! I have a skinny tree, too! Not as skinny as yours, but I love how it takes up less space. My favorite decoration on your tree is the different checkered ribbon that compliment each other so well. Thank you for sharing!! I need to find one of these trees for next year. I love how even with the slender size you make it look grand and quite impressive. So cute! And that medallion tree next to it is adorable! Wish I had a machine to do that. I love it! I also saw how you did the ornaments and it’s amazing!!!!! Lovely Christmas Tree!!! I was just thinking earlier today that I would love to get a pencil tree for next year and then saw yours and know I have to have one. I’m going to look at the sales at the end of the season. Your tree is just beautiful and I love everything about it. Your tree is so pretty. I like that you decided on a tall pencil tree instead of a small tabletop tree. Very unique and inspiring to see it all decorated. Great job! Beautiful Christmas tree thank you so much for sharing. 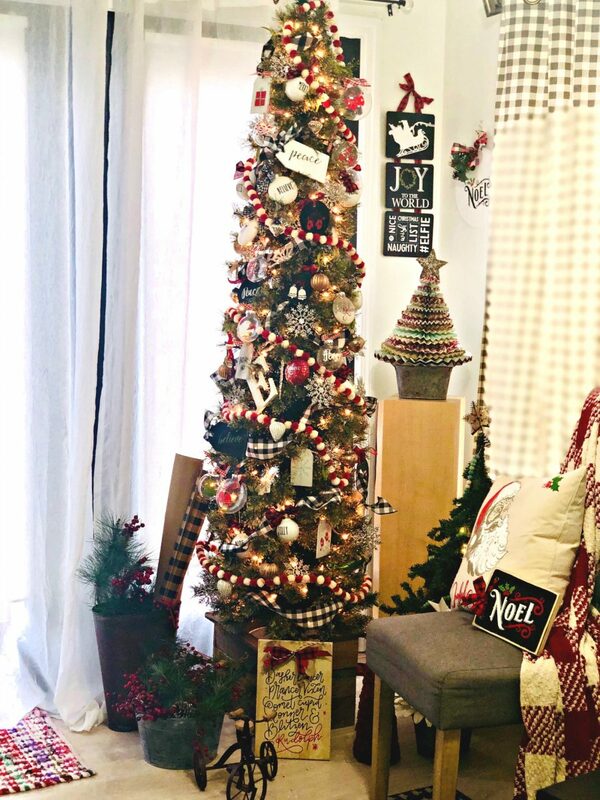 The skinny tree is perfect for the space. I like that your grounded it with the pallet box it makes it feel a bit more substantial for the size. Also loving your RD inspired ornaments. Such a great little tree. Thanks for sharing. Your tree is absolutely beautiful! I’ve been telling my husband we need to do this…Thank you for sharing at Party In Your PJs! Building the right home for you needs the right people to do so. Always go for excellent record contractors when hiring. I love the way you have decorated your perfect tree Jeanie. Thank you for sharing at Create, Bake, Grow & Gather this week. 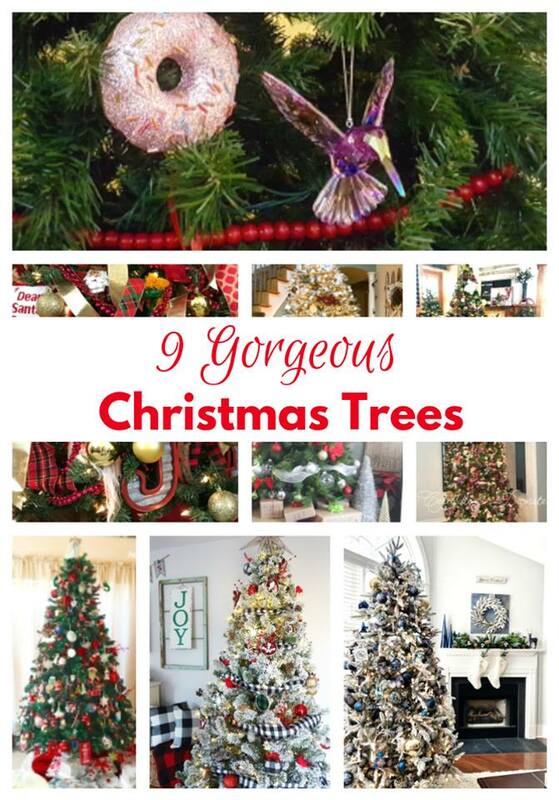 I’m delighted to be featuring your Christmas tree at tonight’s party and pinning too.